Boosie Badazz is an American rapper. It is his stage name. His real name is Torrence Hatch Jr. He is also simply known as Boosie or Lil Boosie. He began rapping in the 1990s as a member of the hip hop collective Concentration Camp. He pursued his solo career in 2000. He has released eight solo studio albums and six collaborative albums and numerous mixtapes. He was sentenced to 4 years in prison on drug and gun charges in 2009. He was indicted in 2010 on first-degree murder charges and was sentenced to 8 years on multiple charges of drug possession with intent of distribution. He spent 3.5 years on death row before being found not guilty of murder in 2012. He was released in March 2014 after serving 5 years in prison. He was once again arrested in Newnan, Georgia and faces felony drug and firearm charges on 8 April 2019. He has over 5.7 million followers on his Instagram. Louisiana rapper Boosie Badazz, who already served 5 years in prison in the past has been arrested in Georgia on drug and weapon charges. The 36-year old Louisiana rapper was charged with possession of a firearm during the commission of a crime, possession of schedule one narcotics, failure to maintain lane and possession of marijuana, according to reports. Boosie Badazz had previously served 5 years in prison on drug and gun charges from 2009 to 2014. The murder charges against him were withdrawn after the jury ruled him not guilty. If found guilty, he would have faced a death sentence. Torrence Hatch Jr. is his birth name. He changed his name to Lil Boosie while starting his career. He later changed his name to Boosie Badazz. What is Boosie Badazz Famous For? - Served 5 years in prison on drug and gun charges. Where was Boosie Badazz Born? Boosie Badazz was born on 14 November 1982. His birth name is Torrence Hatch Jr. He was born to a father Raymond Hatch, and a mother, Connie Hatch. He belongs to African-American ethnicity. His birth place is in Baton Rouge, Louisiana in the United States. He holds American nationality. His zodiac sign is Scorpio. His religion is Christianity. He was born and raised in Baton Rouge, Louisiana. He has an older brother, Taquari Jamar Hatch. He attended McKinley High School. He took an interest in both poetry and basketball. He was excellent at basketball. He had won most improved player at his high school in 1997. His father died in 1996 when Hatch was 14 years old. His father's death inspired him to turn his poetry into writing music and began pursuing a career as a rapper. His cousin Young Dee introduced him to Baton Rogue rapper C-Loc in the late 1990s. Young Bleed, C-Loc, and MD mentored him. They formed a group, Concentration Camp. Other members were Happy Perez, Boo, Max Minelli, J-Von, Lee Tyme, and Lucky Knuckles. He was the youngest member in the group at the age of 14. 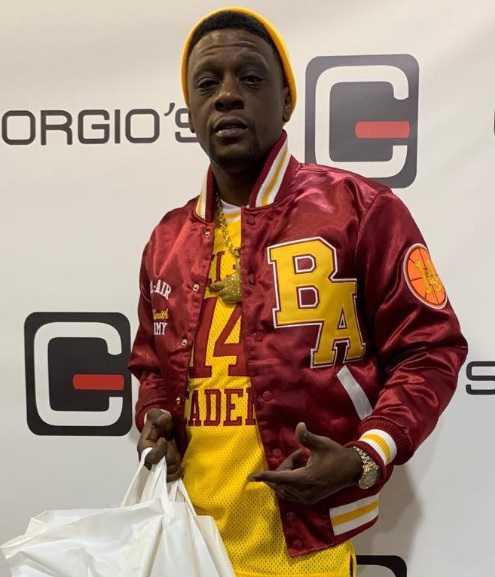 He debuted on C-Loc's fifth album, It's A Gamble in 2000 under his old alias Boosie and Concentration Camp third studio album Camp III: Thug Brothas in 2000. Lil Boosie got the prime position after Young Bleed left the group. He served as one of the "faces" of the camp. He recorded his debut album, the aptly-titled, Youngest of da Camp at the age of 17 in 2000. He joined Trill Entertainment in 2001. He independently released the album, For My Thugz under his new alias Lil Boosie in 2002. The album featured Pimp C, Young Bleed, and Webbie. He released his first mixtape, Boosie 2002 (Advance) in 2002. It featured Max Minelli and Pimp C.
He has released seven solo studio albums including Youngest of da Camp, For My Thugz, Bad Azz, Superbad: The Return of Boosie Bad Azz, Incarcerated, Touch Down 2 Cause Hell, BooPac, and Badazz 3.5. He has collaborated on 6 collaborative albums including Ghetto Stories and Gangsta Musik, both with Webbie, Trill Entertainment Presents: Survival of the Fittest, Trill Entertainment Presents: All or Nothing, and Trill Entertainment Presents: Trill Fam-Respect Is a Must, and Penitentiary Chances with C-Murder. He has also released over 35 solo and collaborative mixtapes. His major label debut album Bad Azz was released in 2006. He presented his debut label Bad Azz Entertainment label in 2009. Originally it was renamed Bad Azz Music Syndicate. He changed his stage name to Boosie Badazz in October 2014. Before he used Lil Boosie as his stage name. He told in an interview that he got tired of people calling him Lil Boosie though he was grown. He has collaborated with numerous artists including Yung Joc, Foxx, Webbie, Young Jeezy, Twista, LoLa Monroe, Slim Thug, Kiara, Bluez Brothaz, David Banner, Sean Kingston, Hurricane Chris, Baby Boy da Prince, DJ Khaled, among others. He appeared in films, Gangsta Musik (2005), Bad Azz (2006), On the Grind (2006), Last Dayz (2009), and Ghetto Stories: The Movie (2010). Boosie was arrested on 22 October 2008 after East Baton Rouge sheriff's deputies found marijuana and a gun in Boosie's car. He pled guilty to his third-offense possession of marijuana charge on 22 September 2009. The next day, he was sentenced to two years in prison. His sentence was doubled on 10 November after finding he violated probation while awaiting sentencing. He was electronically monitored and placed under house arrest between his plea and sentencing. He was indicted on federal charges on first-degree murder of Terry Boyd in June 2010. He also faced charges for three counts of possession with intent to distribute narcotics (Schedule II: codeine and cocaine; Schedule I: marijuana), three counts of "conspiracy to commit possession with intent to distribute narcotics", and two counts of "conspiracy to introduce contraband into a penal institution". He denied the charges. He entered a not-guilty plea in a Louisiana courtroom on 28 June 2010. He was sentenced to 8 years in state prison after pleading guilty to the drug charges on 29 November 2011. A Jury found Boosie not guilty of first-degree murder on 11 May 2012. He was later released on 5 March 2014. He remained on parole until 2018. 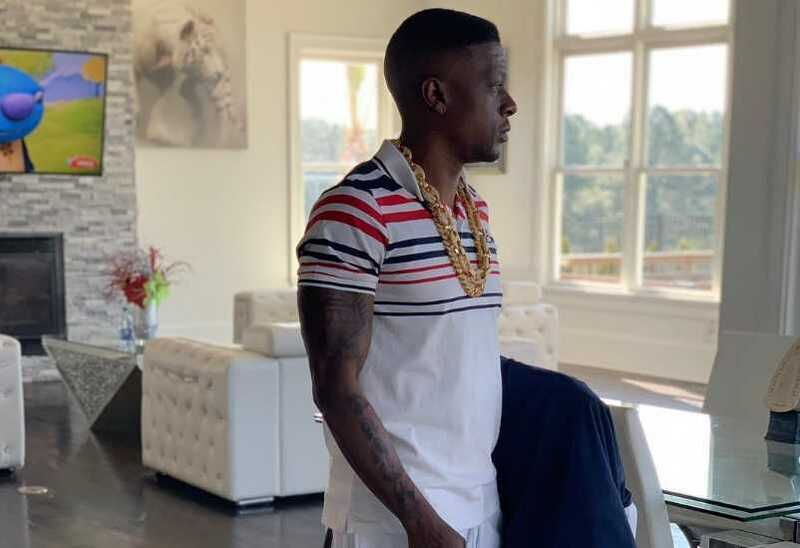 He was once again arrested in Newnan, Georgia and faces felony drug and firearm charges on 8 April 2019.
Who is Boosie Badazz married to? Boosie Badazz was linked with Walnita Decuir. They got engaged but their engagement broke off. Walnita was caught trying to sneak in drugs to Boosie while he was serving his time in jail. She has 3 kids with Boosie, Ivinova, Ivy Ray, and Michael Jordan. He shares a daughter, Tarlaysia with Trivia Weatherspoon, a son, Torrence Taylor with Tracy Taylor, a daughter, Lyric Bey with Gerlissa Haze, a daughter, Tori with Rachael Wagner, and daughter, Laila Jean with an unidentified woman. He has 8 children altogether, 3 sons and 5 daughters. He also adopted Trell and E'mairi Nicole. Trell was the son of Ivy Smith and Nicole was the daughter of Darryl Milton, both his best friends who were murdered. His father died battling drug addiction in 1997. His mother is a retired school teacher. He announced in 2006 that he had diabetes. He announced via social media in November 2015 that he was diagnosed with kidney cancer. He underwent successful surgery to remove cancer. What are Boosie Badazz's Body Measurements? Boosie Badazz stands at a height of 1.67 m i.e. 5 feet and 5 and a half inches tall. He has a body weight of 140 lbs i.e. 63.5 kg. He has an athletic body build. He has a chest size of 40 inches, biceps size of 15 inches, and a waist size of 34 inches. He has dark brown eyes and black hair. She wears a shoe of size 10 (US). What is Boosie Badazz's Net Worth? He has his own apparel line, Jewel House clothing. He stated that his line made 4 million in 8 months. He released a vodka in his name called Boosie Juice. He also released Badazz audio headphones in September 2016. Working in the music industry is his major source of income. As of 2019, his net worth is estimated at $3 million. - He earned his GED certificate while incarcerated.